When I was younger I didn’t really understand what church was about. From what I can recall, church for little emma was Veggietales and absentmindedly listening in Sunday School. Going into Phil’s Day Off, I didn’t really have a plan. The weekend that we were assigned p.d.o. was probably one of the busiest weekends I had this month, including my final shift at my old job, my first shift at my new job, family dinner(s), a birthday party, and a massive biology test coming right up afterwards on Monday. So I had to think of something that wasn’t too time consuming, however would actually make a lasting impact on me so I could wholeheartedly blog about today. That’s how I ended up at church. On a chill Sunday morning I attended the contemporary 11:00am service at the Hope Lutheran Church in Port Coquitlam, what I didn’t know, is that they were doing communion. Communion, for those who don’t know is “the breaking of bread”, is the service of Christian worship at which bread and wine are consecrated and shared (taken from the dictionary). The bread, or cracker is to represent the body of Christ and the wine (or sometimes grape juice) is to represent the blood of Christ. From what I could tell, this is something very important to these people’s faith. My plan was to go in, remain anonymous, and just observe the service. That didn’t happen. I was instantly greeted by the pastor, who introduced himself and soon realized that I had never been there before. He briefly explained what communion was, and directed me to a few rows of pews where some “younger adults sit”. I said thank you and went and sat in one of the pews in the farther back of the church. I thought it would have been weird to start taking photos but trust me when I say that the church was beautiful. Beautiful in the sense that it looked exactly like I thought a church would look like. Dark exposed beams contrasted against the stark white walls and when the sun came out to shine, rays of coloured beams shone through the stained glass depictions of Jesus and the Virgin Mary. The bibles were old and slightly worn, however the massive cross hanging on the main wall was the centerpiece. My anonymity continued to fail when a woman sat next to me and introduced herself, and then invited me to sit with her and her friends, guessing we were about the same age. Turns out, Sarah (the woman I was talking to) is married and all her friends have graduated from post-secondary. She was very surprised when I told her that I was 16. She asked me why I had come, my mind drew a blank, and I stumbled through an answer of “oh I just live down the road… I’ve always been interested in going.” When in reality I was just doing this for my philosophy class and my study of religion and morality. I didn’t think that answer would have been the best. However, I was very thankful that I sat next to her, because she walked me through all the praying and the communion part, where I didn’t drink any wine but I was blessed by the pastor. The service was really nice, there was a lot of standing up and then sitting down between songs and the pastor spoke about the book of life and the starting of the christian advent. The book of life is (metaphorically I think) this massive book with all the names of every christian in it. If your name is in the book, you’re going to heaven. The one thing that I did like about what the pastor was saying is that you can join the book of life at any time in your life. You don’t have to be a practicing christian since day one to get your spot up in heaven. The service ended and I talked to Sarah a bit more and she invited me to the youth group that she runs, sadly I work every night that they run it. I still went however, and enjoyed a cup of coffee (which was free?? there were free baked goods that people had brought from home?? I was really into that) with her in the hall across from the sanctuary. Soon enough, about three days following that Sunday I received a welcome email from the church. Like I said before, I didn’t really have a plan, and I hadn’t developed any more questions before going into p.d.o. except for the first two that I explained in my previous blog post. Then, as I was typing this out and remembering what the pastor was actually talking about, I thought of reversing my second question, thus thinking, how has Christianity been influenced by western society? I went to a contemporary service, where there was live music and more upbeat songs. The pastor even referenced The Grey Cup and Instagram. This service was definitely different and more modern than the traditional service at 9:00am. So there you have it, the long and endearing tale of how I went to church for the first time in a really long time and got a good cup of coffee out of it. Although I don’t see myself as a very religious person, I grew up in a fairly religious household. For the first five years of my life, my family and I attended church every sunday at the south Abbotsford Mennonite Church (however we were mostly anabaptists than anything). Then, as time went on and life got busier, we irregularly continued to go, and now at our current position, I haven’t stepped foot in a church wholeheartedly since sixth grade. The one thing I do remember of my years as a Sunday Schooler is the emphasis that they put on us of doing good to others so other will do good to you, whether that be helping others out, abstaining from jealousy, and not pushing someone off of the swing set. 1) Do you need religion and/or a God to have good morals? From the dawn of faith, religion and morality have been seen one and the same. In almost any religious book, somewhere doing good to others and being a good human being is written down. translates to: Indeed, Allah orders justice and good conduct and giving to relatives and forbids immorality and bad conduct and oppression. He admonishes you that perhaps you will be reminded. Morality and religious values are two distinct systems. Morality is not something feasible only in the context of devoting oneself to a God. 2) Can we live in a secular, western society despite it being influenced by religion (mainly Christianity)? The Church (talking about the christian church) has had a vast hand in what seems like everything in our day to day lives currently. We go off of the Gregorian calendar, and that measure of time is based off of the day of Jesus’ birth. We have Christmas and Easter as public holidays, and because of the religion, some of the greatest artists have had their works immortalized, and be known worldwide (The Creation of Adam, the Sistine Chapels’ ceiling, and Ludwig van Beethoven’s Ode to Joy). Christian scholars preserved literacy after the fall of the Roman Empire in western europe, and they were advocates for education (censored by the church obviously) and healthcare. Now this isn’t me praising the church for all the beautiful things they’ve done for the world, I’m not forgetting about the Crusades or how they condemned homosexuality and divorce, as well as the support of oppression of women and slavery (however christian ideas have been used to condemn slavery as well). What I’m trying to get at here is that if we live in a society that has been so influenced by this religion, how can we be secular and not affected by Christianity, and does this affect our morality? Can we truly be unaffected by religious influence? As you can tell, I chose this topic because I am fascinated with religion and human nature. If there is a God, are they the one ingraining good morals into our being, or are have these good morals just evolved with us (like darwinian evolution) over time? The Stanford Encyclopedia of Philosophy has been a great resource for me to find papers published on my topic. As well, a quick glance at Wikipedia doesn’t hurt anybody. The three articles that I took an in-depth reading into can be found here, here (Kant was a cool dude), and here. Yet, is any of this valid? Factually correct? Sound? Here is my attempt of breaking down this argument. Premise 1: There is no evidence for Climate Change caused by humans. Premise 2: China has fabricated and is perpetuating Climate Change. Premise 3: Manufacturing goods is cheaper in China due to relaxed carbon laws. Conclusion: / China created the Climate Change hoax to steal U.S. jobs. Premise 1: Anthropogenic climate change is a very controversial topic. I trust in the group of people that believe that us humans are strongly contributing to climate change, and these people are backed by a number of scientists (97% in the field of climate change) and many scientific based programs (NASA) proving that we are contributing to climate change. So, it’s safe to say that this first premise is false. Premise 2: There’s no evidence to truly support this premise. Any google search just leads me to the Trump tweet. That being said, I can’t assume that it’s true or if it’s false. Premise 3: The Chinese government has yet to instill any carbon taxes on companies manufacturing in China, therefore these companies aren’t as heavily taxed for producing their goods. Easy to come to the conclusion that this premise can be seen as true. Conclusion: Like I said with premise #2, there’s no evidence to support this claim, therefore I cannot assume that it is true nor if it is false. So, this argument is definitely not factually correct because of the lack of evidence in the second premise and the conclusion, and with that, I’ve ruled out that this argument is sound. Finally, is this argument even valid? No it is not. Possibly if there were only premise #1 and #2, then the argument has a slight chance of being valid (however that chance is very slim). Now, with the third premise added in, this argument stands no chance. Although the third premise is probably true, it does not coincide with the first two premises, and all three of them do not make a valid conclusion, especially the one that Trump has given us. Somehow, in some mysterious way, my mum went from wanting nothing to do with rap music to buying herself a one way ticket to Chance The Rapper’s Coloring Book tour show date in Vancouver. Intrigued in how this came to be? Read further. For a long time my mum hated rap music with the same amount of passion that I have for loving rap music (a lot). Proclaiming that all rap music is about drugs, gang life, violence, excessive use of profanities, and sexism, my mum would never allow for the ~devil’s music~ to be played where she was. This is the first stage of Plato’s cave, where Karla is chained down in the cave and is only being shown what rap music is perceived to be by certain people. These ideas of rap music are all she has ever known, because she has only seen the shadow of rap. I owe most of this phase of the cave allegory to N.W.A. 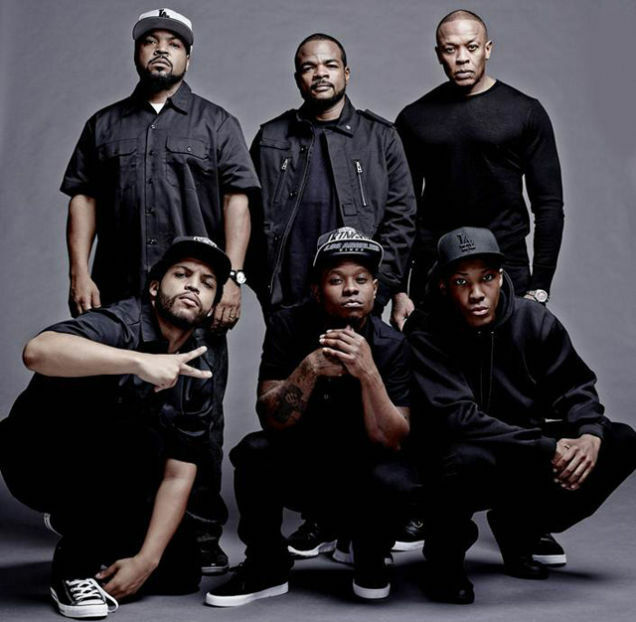 About a month after the movie Straight Outta Compton was released, and a final nudge by a family friend, Karla went and saw it. To much surprise by me, she loved it. Wanting to be a part of the conversation about the Black Lives Matter movement, and why POC are so frustrated with the police forces in America, this movie was the gateway to it all. To add, the entire movie showcased west coast hip hop in a way where she understood the lyrics, and the artistry that goes into the producing of each track. Essentially, Straight Outta Compton was the key that unlocked her shackles and showed her that her previous allegations against rap music were false, and were only what she had perceived rap was. 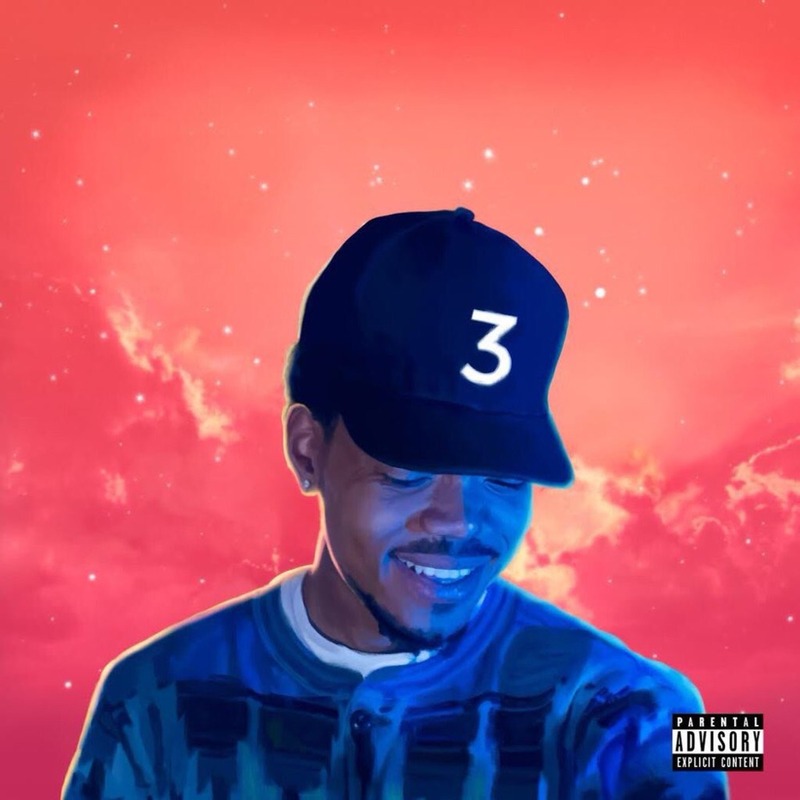 As a fan of Chance The Rapper, when Coloring Book dropped, I had it on repeat for a solid three days. This album boasts a hit list of collaborations (Justin Bieber? Lil Wayne? Two Chainz? and Yeezus himself?) and mixes Gospel, Spoken Word Poetry, and Rap all in one album. Eventually, I played my mum and few songs off the album that were less rap, more gospel, including Blessings (including the remix) and Finish Line/Drown. Next thing I know, she’s blasting the album in the backyard while gardening, playing it in the car, and reading the lyrics to each and every song. My mum became enthralled with the album, and it’s safe to say that it was the album of the summer for her. She even went to the point of practicing the lyrics so she could rap along with Chance, and frequently enjoys yelling “Igh Igh Igh” in his songs. My biggest “proud child moment” is when I played her songs off The Life of Pablo album. It’s safe to say that she hated Kanye West before this, but the moment I played her Ultralight Beam, my own mother was brought to tears. So far, Chance is her favourite rapper, however she is broadening her horizons and is dipping into the likes of Kanye West, Jay-Z, Kendrick Lamar, J-Cole, Drake, and has discovered a local rapper on her own that goes by the name of SHAD. This point in time is her leaving the cave, and experiencing the 3D world in colour on her own, and by her own means. My mum finally realizes that the rap world is a good place to be. Finally, after her journey of enlightenment, she goes back into the cave to share her truth about rap music. Sadly, it doesn’t go as well as planned. Many occasions my mum tried to persuade and get her friends into Chance, and they really did not enjoy it as much as she did. Although she was not ridiculed as said by Plato, some friends did think it was a bit odd that she would enjoy this music. However, as discussed in class, there comes a point in time where you become the person who frees prisoners in the cave. Although questioned by a few, my mum has also enlightened a number of her friends into enjoying rap music. What happens now? I’m showing her Acid Rap, and trying to get her into Frank Ocean. Baby steps right? TL;DR: Before she only had an impression of rap. The shadow. Then she discerned the truth, and gained immediate knowledge of rap rather than being swayed by false images of it. Now, she’s enlightened, and is sharing her knowledge with others despite (some) ridicule. And that, is how my mother ended up buying a ticket to her first ever rap concert. The first week or so of school has made me feel like the total embodiment of this video. Between fixing my sleep schedule, dragging around my massive Bio 11 textbook, and auditioning for theatre, Philosophy has been this beautiful, tranquil class that I come into excited to learn, listen, and discuss. I knew what to expect coming into this class (Creating my own criteria sheet? Piece of cake. ), however, I don’t think my brain has really let all the theoretical subject matter fully sink in yet. Develop my knowledge of philosophy, and be able to take that into my world and make connections in everyday life, and bigger things. Create more conversations about philosophy/with philosophical themes. Define my own “loving of wisdom” meaning, establishing my own personal philosophy. Through this course I want to accumulate a set of morals, values, ethics, and outlooks on life that are personal and thought of by me. I don’t plan on living life guided by someone else’s philosophies. Have a better understanding of what I want to get out of this course. Create my own “launchpad” of resources I can use for further reading and understanding. Speak up more in class. The last goal was a bit of a surprise for myself when I wrote it down, because I’m usually not someone who sits quiet in a class. I think since I’ve been thrown into the course head on, everything is taking a bit longer to settle. However, like Mr. J said, confusion is an okay place to start. Speaking of confusion, what is love? what is wisdom? and I being a young and naive ~teen~ wouldn’t have any conception of either right? Wrong! This first activity in class really had me thinking of what each thing was and being able to talk about what each meant to other people really opened my eyes (and ears). What I found love to be was a commitment, a purpose, and a personal understanding of something that everyone understands. Another idea I heard from someone that struck me was that love is wanting to see someone be as successful and happy as you are. Wisdom for me on the other hand is the outcome of experiences, good or bad, and then learning from them. I can define it as something that can be taught, but is better learned first hand, and it’s an acceptance of failures, faults, and your own past. Because of this discussion, I discovered something for myself, that’s helped with the building of my philosophy. There is a difference between knowledge and wisdom. Knowledge to me is facts such as the square root of nine is three, or that the capital of Tajikistan is Dushanbe. Wisdom however is something that is learned over time, and isn’t alway factual to say. Between those two, both are important to my personal philosophy, only wisdom reigns higher than knowledge. I know that I’m not going to be the greatest thinker in our time once I finish this course, but I’m going to push myself to conceptualize and think philosophically more often in my day-to-day life than I did before. All I know so far is that I have a desire for learning more about philosophy, and can’t wait to get back to class. Final note, I’ve attached the first piece of philosophical material I ever experienced in my life. I’m pretty sure I was almost nine when a family friend of mine showed me this, and after watching the video, I went home and finished the entire series. Did I really understand most of it? No. Did I enjoy re-watching them? Yes.